Have you ever wondered how water can taste so different? The difference is simply in the process in which the water is treated. Water coming from a tap, a bottle or some filtration system can make all the difference between crisp and refreshing to ordinary. Vero Water offers a unique multi-faceted water purification process that delivers perfectly chilled water — sparkling or still — through its patented systems that easily fit on any countertop. Well how good is the taste you might ask? Vero Water purification and water bottling systems are utilized by world-renowned hotel chains, spas and restaurants. 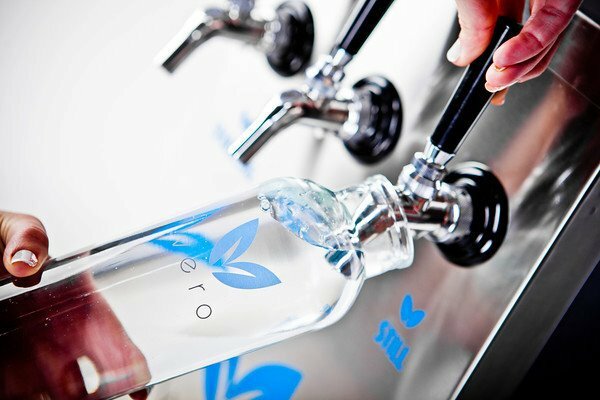 In addition to great tasting water, Vero Water has made it a point to focus on limiting the carbon footprint of its customers by providing eco friendly water bottles that are dishwasher safe. Vero Water’s focus on limiting waste and other environmental friendly practices differentiates the company from all of its competitors. Now that is what’s called a difference you can taste.